Hi, I'm Dr. John Shim, an orthopedic spinal surgeon, and today I'd like to discuss how to read a lumbar MRI. As many of you know, MRI is a specific study used to closely examine various body parts. It has lots of applications and can give a very detailed look. It's useful to identify findings to your lower back, or the so-called lumbar spine. To understand how an MRI works, typically you're placed into a cylinder. Magnetic beams are then fired from the cylinder into your body. Magnetic beams start as parallel energy, but once it hits various parts, the magnetic beams get scattered in very specific patterns. The scatter is dependent on the nature of the tissue hit by the beam. To give you an example, muscles will scatter in a certain direction. Other tissues such as nerves, and ligaments will also scatter in another direction. And firmer and harder tissue such as cartilages and bones will scatter in another direction. Scientists have figured out how to measure the scatter, and by measuring the scatter they can make a three-dimensional reconstruction, MRI studies are excellent tools to reconstruct your body parts onto a diagnostic study. Radiologists typically look at spine MRIs in several different planes. The two main planes are, the axial plane, and the sagittal plane. The axial plane is a cross-sectional view from the top of the body. I like to call it the bologna slice view. If you've ever been to the deli counter, the bologna loaf is placed onto the slicer. The cross-sectional view is similar to the axial view. As you can see on the screen, that is the axial view of the lumbar spine. Anteriorly on the front, is a vertebral body. Posteriorly for the back is the posterior spinal elements. In the middle is the round space called a spinal canal. Within the spinal canal, we can see individual nerve roots floating within the spinal sac, and the exiting hole for the nerve going down into the legs called the foramen. The sagittal plane is also a cross-sectional view, but this is from the side of the body. The best way to look at the axial view is to look at the side view of the spine, and again takes thin slices from the side to the middle of the body. In the sagittal view, we can see the vertebral body in the front. We see the posterior spinous processes in the back, and in the center, we see the space, which is a tube of water called a spinal sac, and within the sac, we can see individual nerves that are exiting from the spinal cord. As we go through various slices of the sagittal view, we can also see the foramen. To fast-forward your understanding of the relationship between the axial sagittal views, we will superimpose the axial views on this sagittal view and reconstruct the spinal anatomy. By doing this, we have accelerated your understanding of the relationship between the axial and sagittal views and now you have a much better understanding of the anatomy of the spine, as well as how the MRI can be used to identify specific areas of the lumbar spine. Of course this is an oversimplification of how we read the MRI. Radiologist's, and spinal specialists, spend years learning the nuances of the MRI studies. There are different signaling sequence parameters that better highlight water content, or fat content, or inflammatory responses. The simple MRI reconstruction does fast forward most of your understanding of how the MRI of the lumbar spine is read. Once we understand what is considered normal, we can then see the difference between the normal and things such as disc herniations, spinal stenosis, broken bones, degeneration, tumors, and infections. This is Dr. John Shim, I hope this video has simplified how to look and read a lumbar MRI. Thank You. Spine specialists have an uphill battle when trying to explain MRI findings to a patient with back pain. As human beings, we want a reason for our complaints, and the identification of MRI findings often become a convenient answer. Without a doubt, an MRI is an excellent tool and can be very helpful in identifying all sorts of things such as bone bones, infections, tumors, and disk herniations. The MRI itself, however, usually just confirms our suspicions, as the history of the complaints is usually the best source of information to formulating the most likely cause of the problem. So the reader understands, physicians are usually taught to look at problems from the stand point of potentially causes of the complaints. Questions are asked to come to the determination of the most likely causes of the complaint. That list of potential causes is called the differential diagnosis. For spine problems, the questions are designed to narrow that list. 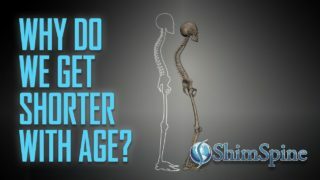 How old is the person? Those over 40 will likely have findings on the MRI no matter what. Older people are at risk for osteoporosis. Is there a history of recent trauma such as a fall, accident, twisting, etc? This is self explanatory. 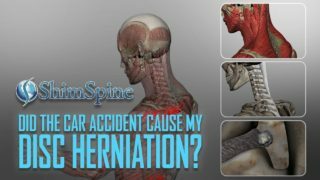 Is there a prior history of spine pain? Recurrent episodes, prior trauma’s, prior sprain/strains may indicate an ongoing problem. Is there a history of heavy physical stress? While the science is not clear, most clinicians will agree that prior heavy activities put you at risk of spine pain. Does the patient have a family history of back pains? Back pain is know to have a hereditary component. It is likely a combination of genetics, and in some families, it is also a type of learned behavior. Is obesity a factor? While many are trying to be politically correct about this, it is clear that being overweight puts you at risk for spine pain. Is there a history of diabetes, or cancer? With either of these two entities, there must be a higher suspicion for infection or a tumor causing the pain. Is there radiating pains, numbness, weakness and/or tingling to the arms or legs? These symptoms are suspicious for nerve entrapment, and if the physical examination identifies sensation loss, weakness, or other objective nerve findings, there is concern for nerve compression. For most patients, back or neck pain is usually caused by a sprain or strain of the many muscles and ligaments that compose the spine. For most, it is a self limiting process, and as long as there is improvement of symptoms within a few weeks, a MRI is not necessary. Unfortunately, most people are not confident in their chances of improvement, and frankly, in this current healthcare environment, are also not confident that their health care provider is totally focused on their well being. Many people will push for the MRI, (as many will not bear the full cost of the test) and while they are starting to feel better, the results are often hard to explain. A person improving most likely will have MRI findings that are probably incidental, or not related to their current complaints of spine pain. Usually, as the person is already improving, there is no evidence of the bad problems such as infection, tumor, or broken bones. The problem for many is the findings of disk bulges, slipped disks and disk herniations on MRI’s. Now that MRI’s have been used regularly for more than 30 years, we physicians now know that a significant number of people will have spine MRI findings with absolutely no spine pain. In other words, the spine pain is probably not related to the identified disk bulges, slipped disks or disk herniations. For the record, most spine MRI’s will show some findings, and our radiology colleagues, who are trained to find the smallest changes, will identify them on report. The problem for a Spine Specialist is to try to get someone to understand those findings may not have anything to do with your current resolving pain. Like the title of the blog goes, “I rare see a normal spine MRI”. I guess it would be much better, and less cost to everyone if the person had confidence the problem will get better, and gave it time to resolve so an unnecessary MRI would not be ordered. On the other hand, everyone will quote an exceptional situation where that one MRI detected a significant problem that would not other wise would have been found. To that scenario, I say progression of that rare condition would have led to further studies no matter what. From the standpoint of the Spinal Specialist, we are not in a good position. If we order too many MRI’s, the insurance company or the government would consider us being wasteful of precious medical resources. If we fail to order an MRI on a timely basis, we may be accused of delaying the diagnosis. I guess if we asked the patients, instead of their insurance company to pay for the MRI, maybe people would be more thoughtful on when they would get the test. Frankly, if the patients, instead of the government, or insurance would pay for anything medical, and that includes my fee’s, it probably would be cheaper for everyone in the end. Less utilization of the test, or specialists, and more competition to the provider of the tests or medical services. Costs would probably go down as there would definitely be more transparency. But, it will be a long time before you see signs like “Will do MRI’s for Food”.